Need to download videos from the websites such as YouTube on your Mac? No worries, ClipGrab is a great application for Mac that allows us to download videos from various websites including YouTube, Vimeo, DailyMotion and many more. It also provides premium features such as convert the video to various formats such as MP3, WMV, OGG, Vorbis and some others. ClipGrab comes with a pretty simple interface. It has a search bar where we can type any video keywords and then the result will be displayed immediately. No need to copy the URL manually like other YouTube downloader software. 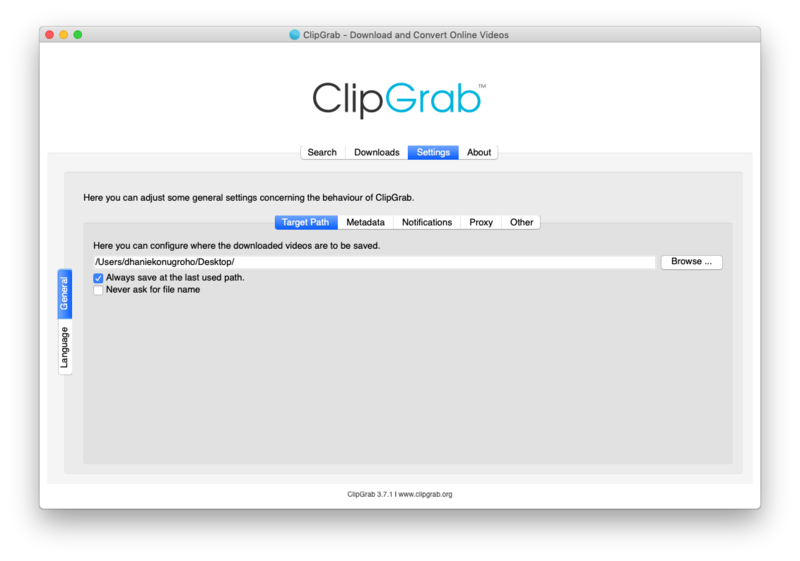 First, download and install ClipGrab for Mac OS X. Install it as usual and then run it. On the main window, you can directly type any keyword to search the video on YouTube. If you have a video URL, you can click the Download button and paste the video URL there. For example, if you have a video URL from Metacafe, you can paste it here. You can change the output format and quality from the Download tab. If you need to change the settings, go to Settings page. ClipGrab could be the best video download software for Mac. It is also available for Windows. To download, please visit this link.